General relativity was somewhat forgotten after the Second World War, but John Archibald Wheeler revived the interest of this scientific subject. He was one of the collaborators with none other than Elbert Einstein himself and he tried to achieve the vision of a unified field theory, which was proposed by Einstein. He was a professor at the Princeton University and was an influential figure who made significant contributions to gravitation and quantum mechanics. 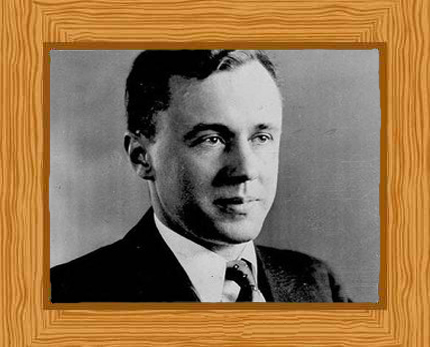 John Archibald Wheeler was born on the 9th of July, 1911 in Jacksonville, Florida to his librarian parents Mabel Archibald Wheeler and Joseph Lewis Wheeler. In 1926, he finished his high school education from the Baltimore City College and in 1933, obtained his doctorate after finishing his studies at the John Hopkins University. His research work and dissertation about the dispersion and absorption of helium had been carried out under the supervision of Karl Herzfeld, who was noted for his work on kinetic theory and ultrasonics. His career in the academe began in 1935 at the University of North Carolina at Chapel Hill as an associate professor. Three years later he moved to Princeton University, initially as an assistant professor and he remained at Princeton until 1976. After his time in Princeton, he worked at the University of Texas for ten years until 1986, where he was the director of The Center for Theoretical Physics. Compared to other scholars who focused on their work for science, Wheeler gave a high importance to his teaching career. This was seen and proved because even after he was already a famous physicist, he still taught physics to freshmen as well as sophomore students with the view that young minds were the most important minds. Some of his most famous students were Kip Thorne, Richard Feynman, Jacob Bekenstein, and Hugh Everett. When Wheeler died in 2008, he had supervised more doctorates and senior undergraduates who were working on their theses compared to any other professor in Princeton’s physics department. Wheeler made a number of important contributions to physics, especially particle physics. In 1937 he introduced what is now known as the S-Matrix, which is now an indispensable tool for the study of particle physics. He was also one of the proponents of nuclear fission alongside Enrico Fermi and Niels Bohr. Two years after he devised the S-Matrix, he worked on the liquid drop model used for nuclear fission together with Niels Bohr. Wheeler was 33 years old when he received a postcard from his brother, Joe, who was fighting in the front lines during the Second World War. The postcard had just two words and it read: “Hurry up.” Joe had been aware of what John Archibald was working on, and hoped that by this time, whatever comes from the nuclear fission experiments could also be used for the Second World War, and help end it. He then worked as quickly as he possibly could on the Manhattan Project at the Hanford Site in Washington. When the project was completed, at Jornada del Muerto Desert in New Mexico, physicists detonated the first ever nuclear explosion in the history of mankind. In Hanford, John Archibald was hoping that he wasn’t too late in making this happen. Little did he know that around that time, his brother Joe had already been killed. Wheeler was devastated after learning the news, and considered that if they had started earlier and completed sooner, he could have helped save millions of lives—including his brother Joe’s. After the conclusion of his work in the Manhattan Project, he returned to Princeton University to resume his academic career. In 1957 Wheeler introduced the term “wormhole” to the scientific community. He had been working on mathematical extensions concerning the Theory of General Relativity when he described the wormholes as “tunnels” in the space-time continuum. He worked on geometrodynamics, which was concerned with electromagnetism and gravitation, focusing on the geometrical properties of the curved space-time continuum. Since his research was aimed at identifying matter and space, it was thought that geometrodynamics was the continuation of philosophy (of nature) as thought of by Spinoza and Descartes. However, the geometrodynamics idea of Wheeler was unable to explain some important observed physical phenomena such as why electrons, muons, and fermions exist. Because of this, he abandoned this theory in the 1970s. Wheeler requested the American Association for the Advancement of Science *(AAAS) in 1979 expel parapsychology, which he considered a pseudoscience. It had been admitted as a type of scientific field ten years earlier after Margaret Mead requested it. He said that he did not oppose the research which parapsychology does, but that it should have more convincing tests before being part of the AAAS. His request was not granted and parapsychology is still credited by the AAAS to this day. He was awarded the Niels Bohr International Gold Medal in 1982. In 1997, he was awarded the Wolf Prize in Physics for his scientific contributions, which included the Participatory Anthropic Principle during his time at Princeton and for other significant contributions to physics. His autobiography ” Geons, Black Holes, and Quantum Foam: A Life in Physics” was published in 1998. On the 13th of April 2008 he died from pneumonia. He was 96, and he died in Hightstown, New Jersey.